The engine starting process presents high particulate emissions in exhaust. 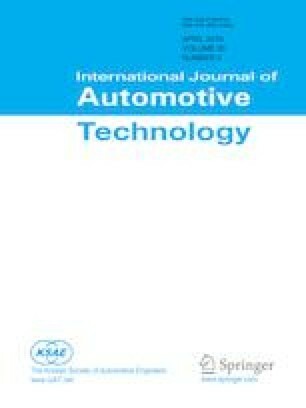 This study gives a systematic investigation on particulate emission characteristics, including particulate matter (PM) mass, soluble organic fraction (SOF) mass, C10-C26 n-Alkanes and particle-bound polycyclic aromatic hydrocarbons (PAHs), that have been emitted from a gasoline direct injection (GDI) engine measured by Gas chromatography-mass spectrometry during starting period. The results show that particulate emissions under the warm coolant start condition decline dramatically compared with the cold start condition. 90 % of particulate number (PN) emitted during the cold and warm start periods generally are nucleation-mode particles. Over 50 % PM mass and PAHs emissions are emitted in the first 0–13 s stage. SOF mass accounts more than 60 % in PM mass emissions, especially under the warm coolant start condition. Some C23–C26 n-Alkanes are detected under the cold start condition which demonstrates that partial particulate composition directly comes from lubricant. The concentration of the two ring PAHs is the lowest among PAHs while the four to six ring PAHs are higher under the cold start operation. The toxicity of PAHs which is evaluated by Benzo(a)pyrene equivalent toxicity (BEQ) value of the total PAHs emissions shows a decline of 66.83 % under the warm start condition.